Today’s post introduces you to a house that we recently completed. It is the home of Jim and Mary Byland and it is a delight for the senses. It embodies the spirit of the lovely people who live there. 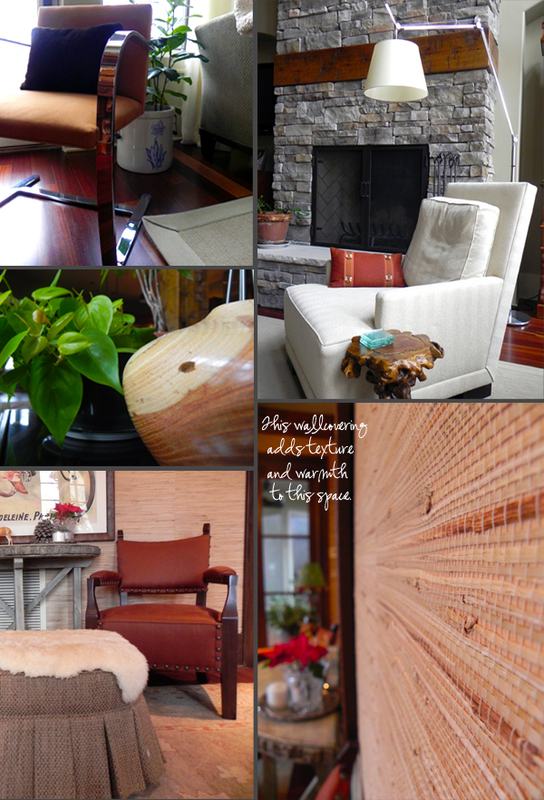 The mood is calming without being boring and elegant without being stuffy. 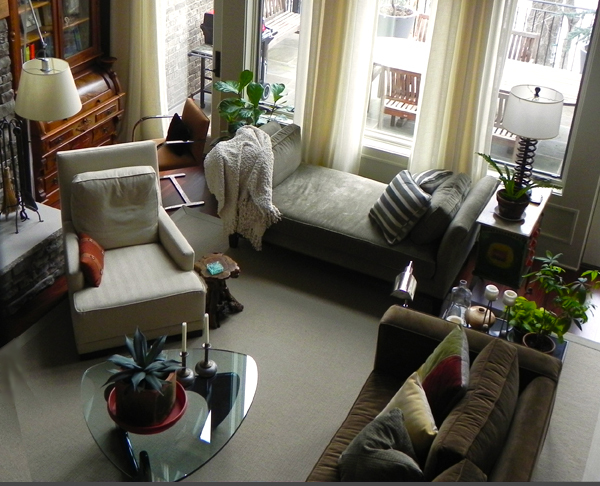 The high ceilings and full length windows in the main gathering area allow for an open, relaxed setting.
. This is a family who truly feels at ease with an interior that brings the outdoors in. 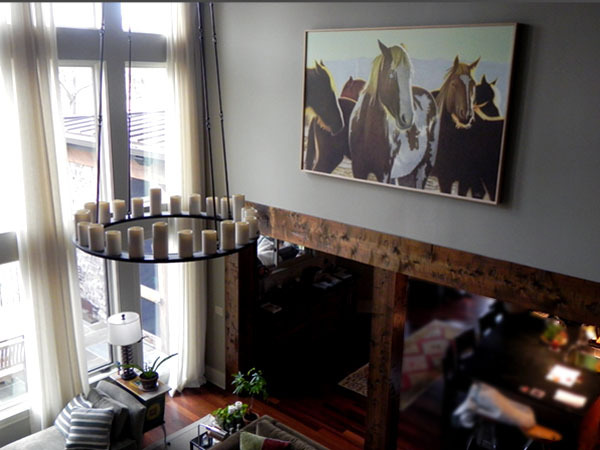 They have an equestrian spirit that is embodied throughout the house. A combination of hand hewn beams and stacked stone creates a rustic yet sophisticated environment. Grasscloth wallcovering covers three walls in the office. The space is layered with textures beginning with the walls, followed by the reclaimed wood demi-lune table, the nailheads on the chairs, and finally with the flokati hide draped over the ottoman. 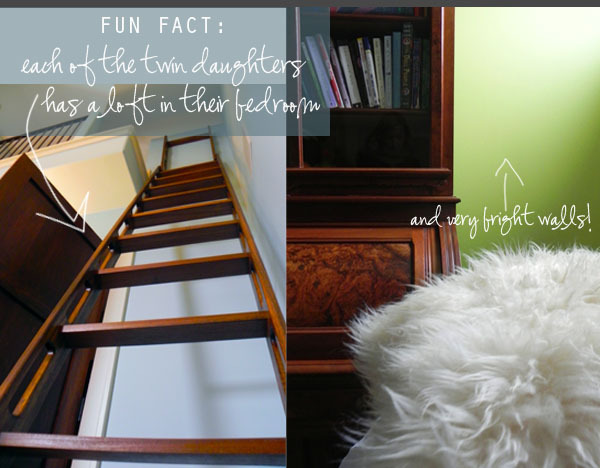 The children’s rooms are located upstairs and have a huge amount of personality (much like their occupants!!!). They are perfectly suited for each of the girls who live there. Built in lofts and ladders are a big hit while adding a design element that defines the space while keeping a sense of youth for the overall concept. Later this week, we will share some photos of the bathrooms of this house. Each is so unique and beautiful that they deserved a separate post! Stay tuned!